My Typo Humour: What prompted My Typo Humour? What prompted My Typo Humour? My Facebook friend Daisy commented on this picture which had been posted by a friend of hers. I laughed out loud and I still smile when I see it. I'm not sure where it came from originally but this comes up first on a Google search. I admit it's a little bit geeky and has limited appeal, but printers in particular will appreciate it. I couldn't comment on the picture at the time because I wasn't a friend of Daisy's friend. But I liked it so much that I copied it and posted it on my Wall with the comment 'My typo' humour'. Quite a few of my Facebook friends are in printing and publishing and I thought they might appreciate it as well. In fact, a couple of my friends did like it and one of them commented 'Mine too'. Thinking it would be a good idea to post more stuff like this, I trawled the Internet looking for a source and found...well, nothing really. 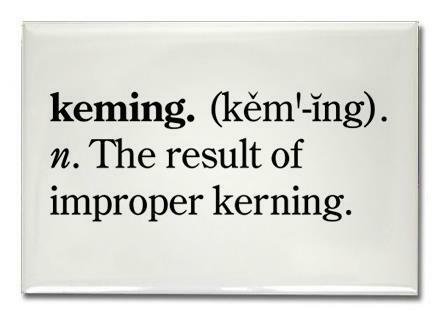 Google came up with some definitions of typos and misprints and I found one or two good examples on a few blogs. But there didn't appear to be a single site where someone had gathered lots of them together in one place. So I registered the domain name based on my original comment, kick started my dormant Blogger account and the next day went live. If you like what you're seeing here, you have my friend Daisy to thank.